I'm so excited to introduce you to the next Mom of our Coffee Chat series, Mindy Hoffman! Mindy and I went to high school together and also grew up dancing at the same dance studio. Mindy was a few years older then I was and was one of those "older" girls that you weren't afraid to talk to, ha! Oh high school days, I sure don't miss you. Anyway, Mindy was the sweetest, she was definitely someone that I looked up to, she had the most kind heart and was always willing to give the best advice! I remember asking her all sorts of questions about topics that I was no expert on, like boys and is metallic white eyeshadow still cool, or no? Mindy also has the most infectious laugh, I seriously can still hear it in my head now, if you were around Mindy, you were smiling! Well, fast forward a few years and a few make-up trends later, Mindy is now a wife and stay at home Mom to three beautiful kiddos. Just like me, Mindy use to teach and made the hard decision to "retire" early and stay home with her babies full time. Now, Mindy is a full-blown "Mompreneur" (Mom/Entrepreneur) and is ROCKING her small business! I can't wait for you to get to know Mindy better, not only is she absolutely gorgeous, see below, she is kind, genuine and the BEST wife and Mama to her crew. If you are a stay at home Mom, working Mom, small business owning Mom, hopeful Mama or just an awesome lady and want to be featured in this series, email me at brittany.snyderfamilyco@gmail.com, I would love to virtually chat with you over more than likely, cold coffee! Now, warm up that morning cup of coffee and have fun getting to know Mindy! Hey friend! Welcome to The Snyder Family blog, I'm so excited to have you and know that my new friends are going to love you just as much as I do! Before we get started with the good stuff, we want to know, what is your current Starbucks order? Because wouldn't it be even better if we could all just chat over coffee! Anything seasonal! I’ll try it all, I especially love lattes! But for my everyday, all day coffee, I just do a light roast k cup with one stevia. Let's start with an introduction, tell us all about YOU! My name is Mindy Hoffman. I am married to my husband Chad, who also owns his own business, Hoffman Concrete Inc. we have three children, Maggie (8), Lucy (5), and Henry (2). My sweet spot is being at home with all of them, I am a true him body, so I truly love being a homemaker. I love to make my home a beautiful, cozy place for all of us. When I do venture out, I love Target and Hobby Lobby runs, grabbing coffee, and going to dinner and a movie with my husband, or the whole fam. I am also blessed to have a lot of my family nearby, so we get a lot of quality time together. I used to be a pre-k teacher at the school the girls go to, so I love to going up to their classrooms to help and see all of my old co-workers as well. I am a lover of all things “girly,” makeup, hair, clothes, jewelry, home decor, housewives, all of it! Now that we know more about you, introduce us to your business! I am an elite status presenter with Younique cosmetics, which means I am in the top 3% of my company of over 1 million (pretty proud). I get to run my business completely from my phone, while being home with my children, which is just a dream come true. It also gives me something that brings me joy, lets me use my creativity and has changed me and brought me so much confidence. I love to be able to help women find the exact skin care and makeup that is right for them, while also seeing how it helps them build their own self-confidence. A big passion of mine is teaching women everything I have learned about skin care and makeup application! Another part of my business, includes a leadership role to my own team of women, so I am able to fulfill my “teacher role,” as I mentor them to run their own successful businesses. What inspired you to start your business?I was inspired to start my business by the products! I was a customer before I started and I fell in love with everything I tried! After a year, I finally jumped, purely for the discount. After I became a part of the community and culture, I just fell in love and ran with it! I have met so many amazing, inspiring people along the way! I love the time I get to spend working with my team, customers, and friends everyday! What advice would you give to a mom who is thinking about starting her own business? I would advise to make sure you’re starting with something you truly love, have confidence in, and you HAVE to share with your friends and family! Also, flexibility in my business was a major factor in me making it a success, and the enjoyment I get from it. I am always able to still put my family and home first. And when you do start, be consistent, helpful, trustworthy, and don’t give up! If you had to highlight a few of your favorite products, what would they be? This is a tough one! I love so much! But the MUST haves for me and my customers are the Touch liquid foundation, Touch pressed powder foundation, and epic mascara! The foundation is so light and touchable, yet gives great coverage, and actually smells like it was created by angels! Once you try it, nothing else compares! And yes, the epic mascara truly does it all, curls, separates, lengthens, volumizes, and does NOT budge! What is one piece of motherhood advice that you can share with us? The number one thing I have learned is to always have perspective! During what I call “the witching hour” at our house, when the girls get home from school until dinner, things can get a little crazy. I really try, when I start to lose my patience, to tell myself to think about how good things really are, and how things do not always have to be perfect. Also, a mantra or something to tell yourself throughout the long days to help make it through the day! Mine is...”just keep swimming” seriously, I say it in my head and out loud anytime I’m getting overwhelmed, just to remind myself that’s all I need to do! 3. My hottie lip plumping gloss! Theeeee best!! See friends, I told you that Mindy was SO sweet! 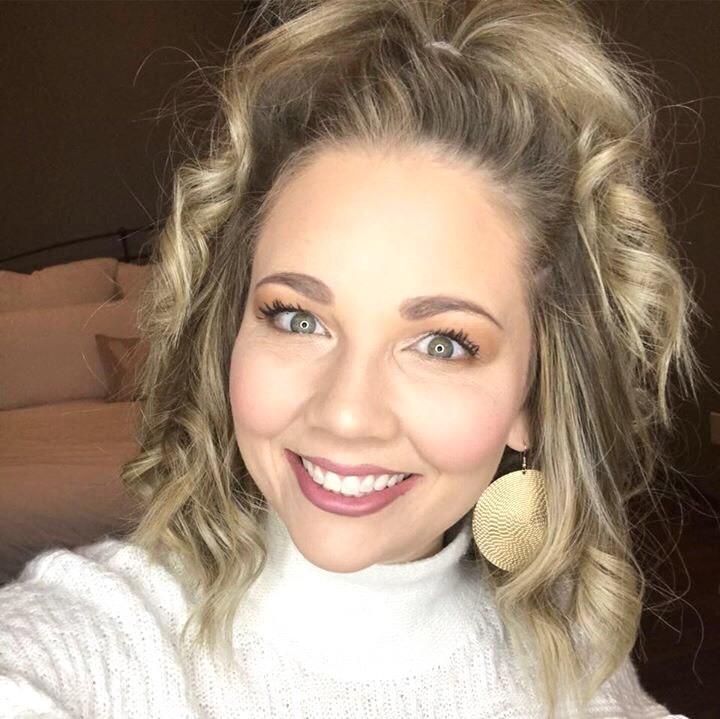 I love following along with Mindy on Facebook, she posts the BEST and easiest make-up tutorials, ranging from date night make-up to an easy 5-minute routine, trust me, you're going to end up watching a lot of her tutorials. I also love when her littles make a guest spot appearance during the tutorial, she's so great at showing REAL life #momlife! 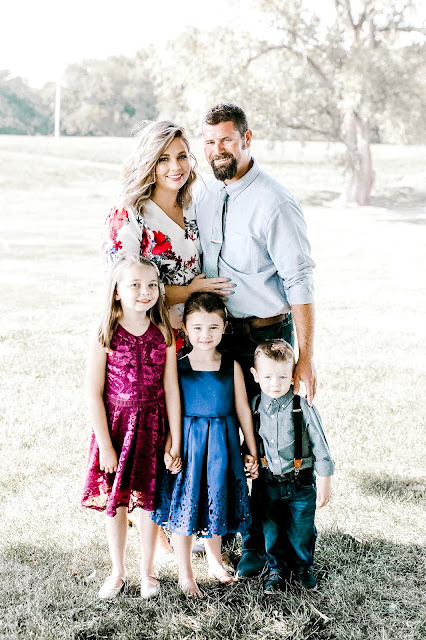 I am SO impressed with how well Mindy manages being a wife, Mom, running a household, supporting her husbands business AND finding so much success in her own small business too. And don't you wish Mindy could come over every morning and apply your make-up!? Because, I do! As a thank you to Mindy for taking the time to chat with us, I'm excited to announce an extra fun giveaway, all you need to do is follow me on Instagram (@snyderfamilyco), like the Coffee Chat post ft. Mindy and comment what your coffee order is at Starbucks! The winner will get to chose either a tube of the Epic mascara or a tube of the Hottie Lip plumping gloss, good luck friends! That's great that you interview and feature other people like this. It's a great way for all of us to promote one another. Hey Julie! It's so fun chatting with amazing Mom's like Mindy, I love supporting women who have their own small businesses, I so admire their hustle, thanks for reading today!